Over the course of the past few years, there has been a push toward workplaces becoming more casual, and not necessarily requiring their workers to wear suits to work. 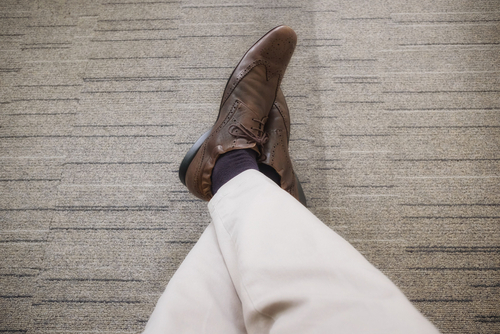 While this is a definite departure from workplace culture even 20 years ago when it would have been completely unacceptable to not at least wear dress pants and a tie, the current push toward "business casual" is by no means a replacement. Every man should own at least two suits, and wear them in situations where you may feel the atmosphere is not accepting of street clothes. One reason that culture has probably shifted away from the business environment being formal is that a man's suit cannot be washed at home, and needs to be dry cleaned in order to remain clean and sharp. This is illustrated by some designers attempting to make suits out of materials that do not need to be dry cleaned, however, these materials never have the crisp look that a traditional suit does. The debate over if the workplace should be casual or not will probably be decided on a case by case basis, but the fact remains that a professional man should own suits in case they are necessary for the situation and also that they should be regularly dry cleaned. 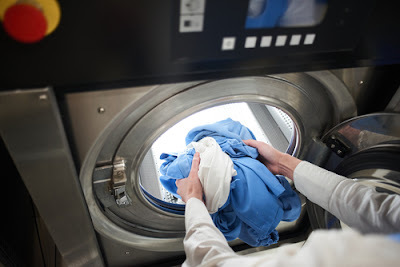 Dry cleaning is the process of using liquids that are not water to remove soil, odors, and stains from materials that cannot be washed with water. This liquid is specially formulated for this process and is then removed from the clothing using an "extruding" process. The clothing is then pressed using a professional pressing machine in order to look sharp, without wrinkles or stains. A dry cleaner will generally also offer other services that can repair and maintain your formal clothing. The inconvenience of taking clothing to the dry cleaner is being reduced by the fact that many dry cleaners now offer free pickup and delivery of your items right to your home or workplace, making it so that you do not have to take time out of your schedule in order to travel to their location. In a nutshell, there are certain circumstances where you are going to need to have a formal look, even if you are not required to wear a suit to work. Keeping a fashionable suit in your closet for these times will assist you in keeping up appearances, and not looking like the worst dressed person at a formal gathering. If you do not know if a situation is formal, you should mistake on the side of caution and wear a suit. Once you have worn your suit at least twice, you should arrange for it to be dry cleaned in preparation for the next time it will be needed. Over time, dry-cleaning was not a luxury affordable only to wealthy people. In fact, the discovery of new and safer chemical products, commercial investment, and the growing concept of cleaning and cleaning have put chemical cleaning within the reach of the person in general. Today we see various dry cleaning shops almost in every commercial market. Few of them run as a single entity and few may be part of some cleaners chain. But, as a matter of fact, all of the cleaners are neither expert in their field nor they provide dry cleaning in actual. Before going into a discussion about dry cleaners, it is better to understand the concept of dry cleaning first. This is a process of cleaning suits through organic solvents instead of water. This concept came into existence after an accidental discovery of Kerosene's use for cloths cleaning by Jean Baptiste Jolly in the early nineteenth century, who later on offered this service through his own company called dye-works. There is another good method of finding a right dry cleaner i.e. asking the people around you. Ask especially from those whose outfit seems to be cleaned and clear. Start searching such a people in your area, or your workplace. If you don't find any then consider people around you in the church or public places. This way you might locate your right dry cleaner. If you have collected enough information about the cleaners in your area from internet and telephone then you can ask people by referring particular dry cleaners, which will lead you towards a convenient search. Other than mere information from the internet, you can go through telephone directories either manual or online or you can collect contact numbers of the cleaners from their websites. This way you could have little interaction with the dry cleaners as well as their style of dealing with the customers. Even in this type of search, you would not be able to reach a satisfactory dry cleaner. You still need practical work exposure. If you have not got your right cleaner using the above-mentioned methods then the time came for a little hectic and tedious style of searching i.e. stroll through cleaners shop one by one. In this door to door search, there is a question i.e. 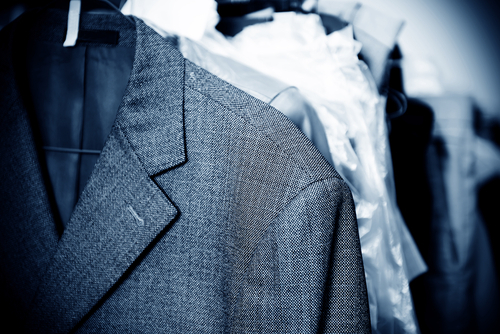 how you can find a right dry cleaner? First of all, learn if they are part of some cleaning company chain. Because business chains usually put some rules and regulations on their franchises to keep their standards. Another thing you can ask is their procedure of dry cleaning suit. The Internet is a big source of information. So you can use the internet to find various dry cleaners within your reach. But only through an internet search, you may not be able to find any good dry cleaner, unless you hand over your clothes for a practical. But what you can learn through the internet is the background, history, affiliation, services offered and experience of the dry cleaner. What Causes Carpet to be Smelly? Usually, when someone thinks of an odor, the first and foremost thing that comes to mind is a restroom. That is the main reason why cleaners are usually held responsible in case of any unpleasant smells when entering a facility. In a majority of cases though, the root of this smell is usually from improper cleaning and maintenance of your carpet. You should keep in mind that smelly carpets give a wrong first impression. People tend to judge someone’s cleanliness from the smell that first hit them at the entrance. This means that it very important that you keep all these odors neutralized. This is one of the main causes of carpet odor. Dampness and moisture can at times get inside the carpet. In some cases, moisture can find its way under your carpet pad. When left for a while, this can lead to very awful odors. Keep in mind that this scenario can happen to anyone regardless of their cleanliness. Some of the sources of this moisture include- spills and humidity. Potted plants or flowers that tend to drip on the carpet. Some uncontrollable scenarios can include bad or extreme weather conditions, that in one way or another, lead moisture to the carpeting i.e. basement flooding. Remember to consistently clean and dry your carpet. Also keep in mind that if the dampness or moisture is not addressed immediately, it could easily lead to the growth of mildew and mold which will, in turn, increase the odor among causing other health risks. Another major cause of carpet odors is having dirty smelly pets on the carpeting. Even if your pet may be clean, cleaning it on the carpeting can as well lead to this odor. Having pet smells on your carpet can be irritating as the smell can really linger. In a number of cases, pet urine smell tends to stick even after cleaning the carpet. This is because bacteria feed on that urine producing foul-smelling gases. Also, keep in mind that the smell stays as long as you have any trace of urine left on your carpet’s fibers. The same case applies to vomit. Bacteria are kind-of activated or energized by water. This is the key reason why sometimes you go for cleaning in order to minimize these odors but actually end up intensifying them. To avoid such kind of headaches, ensure that your carpet undergoes regular cleaning and treatment. The treatment performed on your carpet should use odor removal enzymes as they are the best when it comes to the elimination of odors. Enzymes are particularly good in this as they fight the source of the smell- kill the bacteria- and not the smell itself. When a homeowner has a habit of smoking in the living area, or in any part of the house that has the carpet in it, the carpeting tends to accumulate smoke odor. In a lion’s share of these cases, people living within the house tend not to notice such while any visitors, guests or anyone new to the house is guaranteed to notice the stench. Professional carpet cleaners can eliminate these smells. 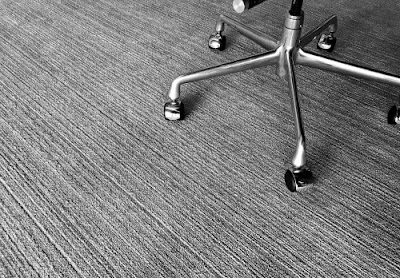 In case the concentration is too much, the only remaining solution may be to purchase a new carpet as a deodorizer won’t work. A carpet is fabricated from fibers. Over a period of time, when in use, these fibers begin to break down. When aging odors start manifesting from your carpet, there isn’t much that can be done. There isn’t any kind of cleaning out there, no matter how long it is done that can eliminate the musty smell from an old carpet. In such a case, the only reasonable thing to do is have it replaced. Apart from old musty smells, old carpets also tend to produce a lot of dust, which isn’t healthy at all for the home residents. One other popular cause of carpet odor is a drink or food spills. Spilling drinks and food substances on the carpeting attract bacteria. This is because these substances are organic hence they can be fed n by bacteria. As these bacteria feed on or break down these organic substances, they tend to produce foul gaseous smells. Just like in the case of pet waste and other organic matter-related odor, the best approach to the complete elimination of such odors is professional enzymic cleaning services. - Ensure that you treat areas that have been soiled. - Make use of baking powder- from time to time, have baking powder sprinkled on your carpeting to curb or neutralize the stench. - When cleaning, also ensure that you use perfumed detergents that will give your carpet good smell. - Ensure that you perform consistent- daily if possible- inspections on the carpet and its padding to ensure that they remain completely dry. - When fond of smoking, hang your carpet outside from time to time for "fresh air" in order to significantly diminish the smell from cigarettes. In short, try avoiding the issues stated above that cause stenches. Ensuring this is very important to your home’s cleanliness. There is almost an infinite number of reasons why you should always ensure that your home environment/working space is always kept clean. 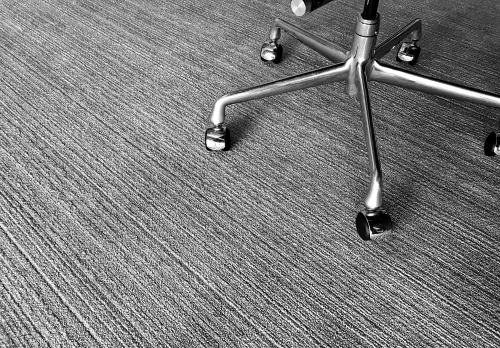 Clean environments- including carpeting- facilitate for very good smells. Now, always make cleaning and treatment decisions based on the root or core of the odor felt. For all odors that have been caused by the decay of organic components or substances, the best cleaning approach is a professional one that uses enzymic detergents. Other causes of smell such as old age cannot be fixed, they only need replacement. Knowing the source of the odor or smell is the first step to eliminating it. Types of Clothes That Need Dry Cleaning and Why? Laundry is one of the most inevitable parts of our day-to-day life. Laundry means washing of all types of clothes to keep them clean like we clean our home every day. 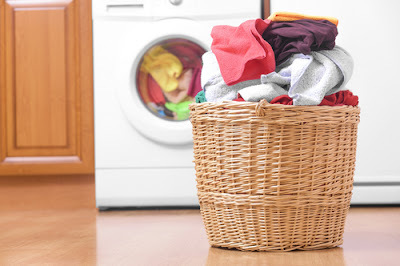 Some people wash their clothes at home whereas some who have busy work schedule and cannot spare time to wash their clothes usually go for laundry services for this purpose. But sometimes people have clothes with 'dry clean only' label. Such clothes need special treatment wile washing them. Such labels show that the quality of the related clothes can deteriorate if washed like you wash other clothes. 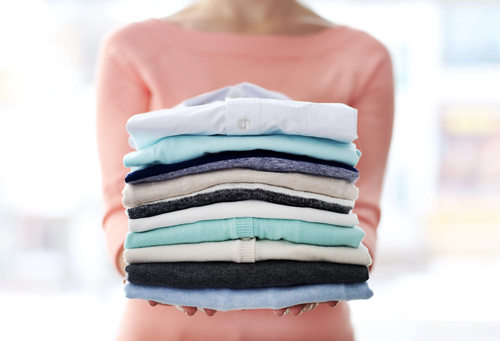 These clothes need a special method to wash them, known as Dry Cleaning. Most of the professional laundry services also offer dry cleaning services. The process of dry cleaning certain garments and clothes uses a particular type of chemical based solvent to remove the dirt and stains from those clothes instead of water and detergent. Any kind of soap and water is not used in dry cleaning as it has to clean the clothes without moistening them. Though the cleaning solvent used in dry cleaning is also a liquid but it does not moisten the clothes. The dirty clothes are dipped and soaked in a highly inflammable solvent to clean their stains and dirt with its help. Normally most of the professional dry cleaners use perchlorethylene for this purpose. It should be used carefully as it can be hazardous in case of mishandling the solvent. Generally the clothes made from delicate fabrics are dry cleaned as regular washing can damage their sheen and luxurious looks. Cotton muslin or voile: By nature these two types of fabrics are very delicate. They have tendency to tear out if your wash them by your hands. So for this reason the clothes made from them need to be dry cleaned. Silk: in order to protect the fibres of natural silk the fabrics containing over 60% Silk need dry cleaning to clean them. Normal washing of the clothes made from silk mixed fabrics can change their size and shape. Cashmere: The fabrics of this type are not of rough and tough nature so to clean them spotlessly you should take them to professional dry cleaners. Soft and velvety leather: When something spills on this type of fabrics then they may create serious problem for you. So they should be dry cleaned to give them special attention and care while cleaning them. Embroidered, beaded and embellished garments: Clothes of such types also need special as they are likely to deteriorate if they are not cleaned by expert and experienced professional dry cleaners. Winter clothes: The clothes used in winter season are usually made from the fabrics different from that is used in summers or rainy season. So they need special care while washing them before storing them for next season. They can be ruined by the moth attack if stored without proper cleaning. In order to maintain their shape and sheen they have to be sent for proper dry cleaning. Ensure the use of right chemical solvent: Professional dry cleaners use different types of cleaning materials to clean different types of clothes thoroughly. It may not be possible for you to choose right type of solvent for cleaning your delicate clothes yourself at home. So the best way of dry cleaning your delicate clothes is to avail the services of professional dry cleaners. Proper drying of the clothes: Some delicate clothes need to be dried in specific temperature conditions to maintain their looks and size. It can be a challenging situation for you to dry them at home. Only experienced professional dry cleaner can dry your dry cleaned clothes without damaging them. Protection of clothes: Certain clothes made from delicate fabrics like velvet, leather and suede may need special attention and care while cleaning them. Professional dry cleaners use special protective materials and conditioners to protect their sheen and softness. In this way you can keep your delicate and pricy clothes safe and wearable by cleaning them through professional dry cleaners because they know all the methods to protect your clothes every time. Affordability: Most of the clothes having dry-clean-only label are not inexpensive. So it is still very affordable if you spend some extra money to maintain their looks and shape by cleaning them through a reputable dry cleaning service. 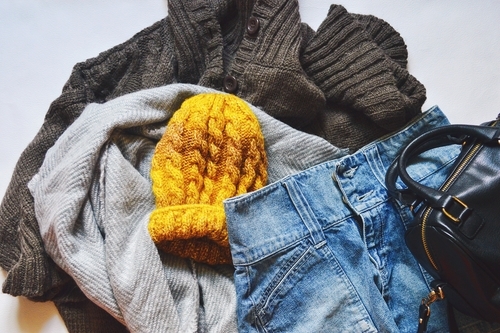 You can wear your favourite clothes for long time even after spending some money on keeping them clean. Stage 1: Pre-treatment and removal of stains: Clothes are treated before dry cleaning them with a stain removing solution to remove all the stains completely and easily. Stage 2: Dry Cleaning: After removing stains the clothes are immersed in a chemical solvent in the dry-cleaning machine and washed thoroughly. Stage 3: spotting after dry-cleaning: If any stain remains on the clothes even after dry cleaning then that is removed at this stage. Stage 4: Finishing: At this stage creases are removed from the clothes by pressing and folding them to make them ready-to-wear. Thus dry cleaning of certain clothes made from delicate fabrics and other materials is necessary to maintain their looks and shape. It is advisable to avail the services of professional dry cleaners for this purpose as they know what type of cleaning products and methods will be safe for the effective dry cleaning of your clothes. There are many people around the world who do not get their curtains or window curtain great idea. They open and close them almost every day. Sunshine hits the backs of the curtains and the buttons of the window daily. Tiny particles, beetles and the hair of the creature circulate and within the artworks. The same mixture of soil collects it on the upper part of the sketch and curtains between the scenes of the curtain or cover. It gets together and puts itself on curtain coverings and window buttons. So why should anybody give this idea? Because it is the basis for participating in the sending curtain for cleaning benefits if you deserve a home-free warehouse or loft area or apartment. of the water, some of which will drop on the lid. At that time they will roll rugs after the completion of the run and you will have a clear respect for the home. If you have curtains you should choose whether it is shabby curtains or it is beneficial for cleansing. If it's shabby curtains, at that time and all the way goes out and buys another system for them with many windows. If the curtains or window buttons have been in the windows for a long time when the sun shines on it you should consider if they continue to clean. You can look behind the curtains and check where the help if you have, is starting to share. Or again if you do not have a sponsorship, you can check that the craft will not be part or spread when you run between your fingers. If that is the case, you will not be able to benefit from cleaning the curtains or window buttons at the same time as it will decrease during cleaning. The larger, more aggressive, poles can be washed in the baths if they are too large for your clothes washer. Maybe you may have business clothes and a huge duty machine where you can wash them. After washing, you should be dry. They can dry in a dryer or in a row. In any case, they will be cleaner. they have been once liked we had an organization cleaning the expert rope in cleaning. The fact is that our curtains get grimy. Despite the fact that we can not touch them as we do rugs or upholstery, they are insufficient contact with the air that circulates our house and in the air, it comes well. 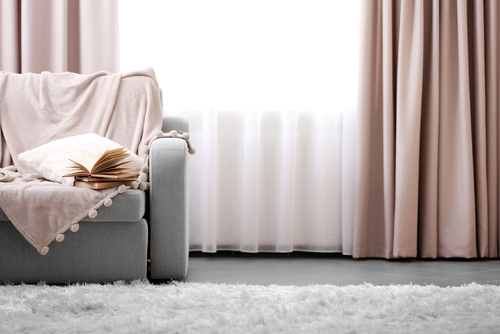 Cleaning agents can be found to eliminate curtains and eliminate allergens that control stale scent and good curtains. The good news is that they can really clean home curtains, without reducing them, preventing you from disturbed. How often do you put your curtains? Can you know if your curtains should be cleaned? Most credit owners do not have to cover their curtains for a while or years. This is not a good propensity since curtains pull in tidy over time. The worst rugs destroy the quality of the house and stop the bad effect on visitors. From the bottom are several signs that your bonds should be cleaned. If you can view the ground or shape built near the base or in the folder, this means that you should get window coverings cleaned at the first time. If you are interested in adjusting your room, you should be careful about the curtains to see whether it should be cleaned or inserted. and size of the window buttons. You should invest more curtains for cleaning the material made of sensitive material. Besides, if the window buttons are large, then you should get help from a friend or relative to exclude them and cleanse them. You have two choices related to cleaning the curtain. You can either take a DIY procedure or a clean expert contract to get curtains cleaned. If you need to make a hygiene individually, then you should take after this straightforward development. For one thing, you should remove the curtains. You can get help from a friend if it's big, as it's predicted. When removing curtains, use a clean cleaning. Follow the guidelines presented on the symbol of sanctification during the cleaning process. High costumes should be hand-washing instead of a machine. Line fatigue is a perfect strategy for drying the window buttons. The dry cigarette is another great option. generally more secure and more, especially if you do not know anything about curtain sanitation. 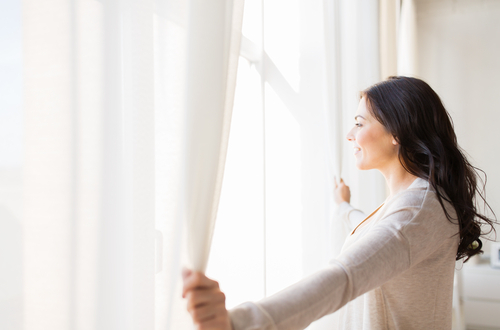 Remove your curtains a week for the last week with the ultimate goal of eliminating soil and clean. This will set a clean collection with the ground and your curtains will look amazing and stand trial. Finally, do them less than twice a year. The winter clothes are quite particular and different from the rest. Its main difference is in its composition and in the extra delicacy of fabrics such as wool. Garments and fabrics, as grateful as unknown, remain forgotten and until the arrival of the cold we do not remember them, and it is at that moment when we ask ourselves: how are winter garments cleaned and cared for? Well, it's simpler than it seems. You only need to know some simple rules to keep this type of garments in the best conditions. The main rule is that these garments are cleaned. Yes, you have read well, they are cleaned. And I say it because it is very common to see the years go by that coat that we never see go through the washing machine or the dry cleaner. And is that despite their dark colors, winter garments also get dirty and require a wash at least once a year. Bearing in mind that the coats, feathers and other winter clothes are also washed, we must also be clear about the time to do it. We often leave this task for the beginning of winter with the idea of ​​having the garment in the best conditions for the season that is about to begin. Error. Winter garments should be clean at the end of this. The reason is that dirt and stains, if left in the garment during all the months of heat, will be more difficult to eliminate at the time we want to do so. In addition, possible smells that the garment has taken will extend unstoppably. Not recommended. Going into the technical part, if what we want to wash is a wool coat or sweater we can do it quietly in the washing machine. The only thing that we must do is to previously remove the lint from the surface with some type of packing tape or similar. At the time of washing, we will use a special program for delicate fabrics (all washing machines have it, trust me) and use a special detergent for this type of garments. It is also advisable to wash these garments with the washing machine at half load to avoid excessive friction with other garments and the appearance of the odious pellets. It is advisable to wash the clothes in cold and do without the softener. At the time of drying the wool must be especially careful because this fabric is deformed while wet and maintains that new shape once dry. To avoid deformations, it is best to dry the garment extended horizontally. The result is worthy of the best of the dry cleaners. Once dry, if we want to store it until next year, we must use bags that transpire since the wool is a fabric that needs air for its good conservation. If we want to wash a coat filled with feathers or a duvet, we can also do it in our washing machine. To do this we only have to introduce a pair of tennis balls. These balls, when bouncing, will prevent the garment from clumping and forming wrinkles or folds that are not aesthetic at all. In addition, with this system, our clothes will be much more spongy. At the time of drying, it is absolutely essential to get the garment completely dry. The feather is of natural origin and with the humidity it gives off an unpleasant smell. Undoubtedly, when it comes to drying this type of fillers, it is best to use a dryer. If we have other types of coats or blankets made of synthetic fabrics, we can also wash them in the washing machine, although if they are large, it is much better to take them to the dry cleaner. It is recommended to wash in cold and with short spin. This type of fabrics can be dried peacefully in the air and later stored until next year. In this case, yes we can use plastic bags to keep the garment throughout the summer in perfect condition next winter. 1. Follow the instructions marked on the label. Frequently the damages suffered by the garments after washing them are due to the fact that basic rules of washing and drying that are given by the manufacturer, such as the composition and needs of the garment, the temperature of the water or the washing system are ignored. 2. Use softeners. There are several winter garments made from fabrics that tend to gain stiffness over time, such as jeans , polyester clothing or nylon. The use of a good softener will help to take care of the most delicate items and prevent them from losing their elasticity and softness over time. 3. Washing modes according to the composition of the clothes. It is essential to correctly choose the washing mode of the washing machine to ensure that the garments are subjected to the most appropriate according to their delicacy. Thus, for colored or synthetic cotton garments, it is best to use a maximum temperature of 60ºC, while for white cotton clothing a temperature between 60ºC and 90ºC may be used. In addition, when washing synthetic quilts, it is recommended to wash independently of the rest of the laundry and at a temperature of 60ºC. 4. The pens are not soap-friendly. Feathers are another of the star elements of winter fashion for its warmth and texture. To wash jackets or coats of feathers, remember that you do not have to increase the level of soap that is charged in the washing machine. In fact, it is recommended not to add products to the wash, as this will cause the garments of feathers to become caked. 5. Include those 'forgotten' garments. Finally, we must remember that sometimes there is a tendency to forget to wash clothes usually with less body contact such as gloves, hats or scarves. Error! Although it seems that for reasons of hygiene is not so necessary to wash this type of accessories, the truth is that the materials that compose them also suffer wear. That is why it is important that they are included on a regular basis in the laundry so that they continue to look the same as the first day. As you can see, it is always simpler than it seems. You no longer have an excuse not to leave your winter clothes in perfect condition until next winter. And there is not much time left for this moment to arrive, because the best thing that the winter has started is that there is very little left to see it finish! When you are looking after your own clothing can be simple and easy if the steps are well followed and if the tips for dry cleaning are well considered. The good indication of how to deal with the laundry cleaning services would be on a look on the labels which are being put to the clothes by manufacturer. Laundry cleaning offer different services and actually they have many things to do in a daily basis, so, you may play the part in in some way by making their job a bit easier, actually there are different tips for the homeowners and all people, and these tips for dry cleaning will assist you in looking after your own clothes and can help you in trying and avoiding those dye mistakes, horrid shrinkages, color shrinks and many more. 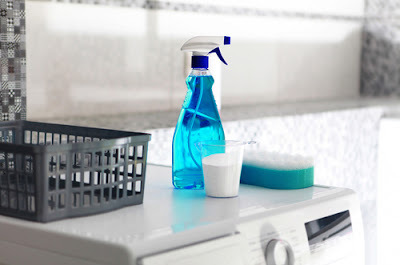 Here are tips for laundry cleaning services. Do not try it at your home. 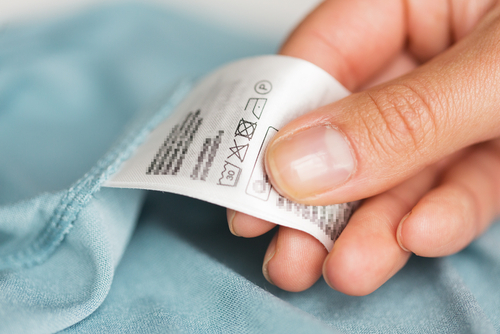 If the item is well labeled dry clean only, there is the good reason for it to that way. Do not put anything in the washing machine which does not belong there as it may shrink or even become tarnished, and an agitation from a machine can wear out a fabric faster. Do not try to remove the stains on the dry clean items at all, the professional laundry cleaners know on how to treat these based on a fabric and also the stain. Keep up with the regular cleanings. The regular dry cleaning can help the clothes to last longer. The solid materials being left behind after the perspiration evaporates may be particularly damaging to a life of the garment, as may store them by not cleaning first so as to remove the visible and the invisible beverage and food stains which attract insects. Clean the suits and the formal dresses every two to three wearings so as to prevent the dirt and the oil buildup which can corrode the materials. In between the cleanings, hanging the clothes near a steam from the shower will assist refresh them and also allow them in keeping their shape longer. Allow your laundry cleaner know about the stains before you have them cleaned. Don’t attempt to remove the stains by yourself. Blot spills by not rubbing and then take to the dry cleaners immediately. Trying to remove the stains from some of the fabrics, like the silks, may cause the permanent damage. Clean before you store them. Stains from apparently clear substances like the body oils, white wine, perspiration and the sugary substances cannot appear in some time. When these have the chance of oxidization, they can show up as light yellow or brown splotches which are very difficult to remove them. 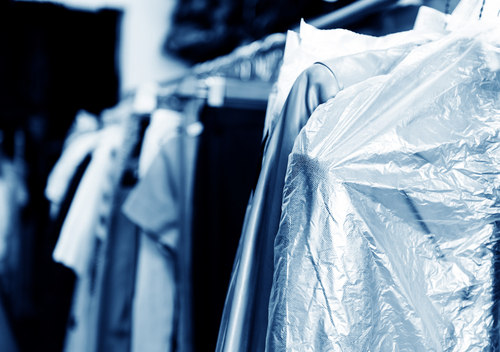 Before you put away the seasonal items for a long-term storage, you need to have them dry cleaned. The dry cleaning to do away with the visible and the invisible stains even before the insects find them is very important to avoid unexpected surprises some months down a road. Use the wide, the padded hangers for the delicate fabrics so that the material of the shoulders does not stretch or even wear out. Do not cut the hanger straps out of the tops and dresses-use them to ease stress on a rest of a garment. 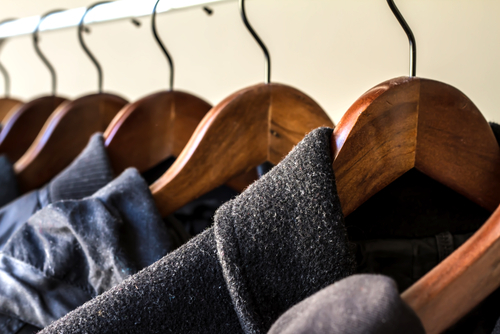 Hang the suit jackets on the wide wooden hangers to assist them keeping their own shape. Also try to use the cedar hangars. A smell of the cedar is essentially very nice, therefore the popularity of the cedar hope chests to the store blankets. But a smell is not only the good perk for the humans, but is the major deterrent for the insects. They actually hate a smell of it. If you cannot find any of the cedar hangers, you can ask the laundry service, they can either have them for you or they can direct you to where they are being sold. Do not use the plastic. Don’t store the clothing in the plastic garment bags. Plastic breaks down as time go and can interrelate with a fabric that can deteriorate it or even change a color. Plastic may also trap in the humidity which can result to the mildew damage. Garments require to breathe therefore wrap them in the plain cotton sheets or the cloth garment bag so as to keep them very safe. Ladies are required to wear jewelry which does not make much noise or may get caught in the equipment. This means the necklaces which hang past a shoulder or the bunch of the dangly bracelets need to be left in the house. Men who love to wear the earrings need to steer clear of the hoop or the circular styles which are larger than the inch diameter. At times, these may drag and hardly hang in an earlobe, that is not only disrupting but they may even fall out. Though some of the ladies can like a feel and the look of the form-fitting skirt, they may leave many chances. Common incidences are tears and splits which come from the excessive bending. Laundry cleaning services can work the miracles on even the many difficult of the tears but it’s best to protect these for after some hours. While the tapered, or the narrow, pant looks very great with a right shirt and the tie combination, actually men need to leave the skinny jeans that don’t fit steadily over a waistline at home. Cosmetics may be the touchy subject since everyone need to look their best but the others can pay the price for the unusual scents and the other reminders of the person's require to appear good. The makeup of any kind should not be applied at the desk. If anybody requires multitasking, they may trade in another responsibility which will save some times or even allow five minutes so as to apply any product. Therefore the best help for you and your clothes, is by taking it to the drop off the laundry cleaning services which will listen to any of the concerns and the special requests which you have. For instance, if you have the spilled white wine on a hem of the lavender dress, you need to bring it in and then point out the stain to the dry cleaner. This way they can be able to assess what they need to do tin lifting the stain and then pay the special attention in that area. You live in a place where everyone goes to their jobs or take care of his or her commercial business once a day. Individuals continuously wake up early in the morning For them to serve their customers or meet clients as quickly as time permits to accomplish more work for more cash. These individuals do not have the freedom or time to clean their laundry or even clean their own house and garments that they require for every day utilize. Going on a boisterous schedule nowadays isn't a straightforward errand. Since your opportunity is especially valuable as it implies cash coming into your record for day to day living, laundry cleaning services are a compelling help and great solutions for their everyday surge. Expert laundry cleaning services deliver you without breaking a sweat in managing your bustling schedule every day. They have a group of expert laundry cleaners which not only just specialists but also use their machine to clean your laundry systematically, however, they are likewise minding persons who are worried about keeping your clothes dry, hygienic and in great hands. 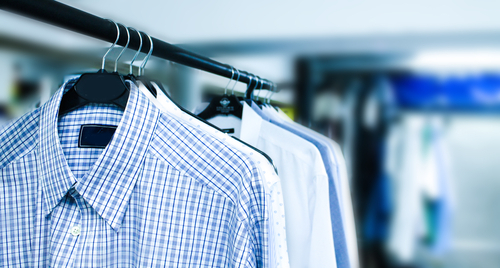 An expert dry cleaner provides 24-hour service in seven days. They have client agents that are accessible on the web or else they have a telephone number for quick contact. If you need information concerning with their services, following your clothes orders and other connected concerns, they have welcoming client agents that will give you facilitate assistance immediately. Dry cleaners provide the decent services for your clothes clean needs at best rates you can confidently manage the price of with the ideal service you would ever have for your aggregate convenience any place in the area. 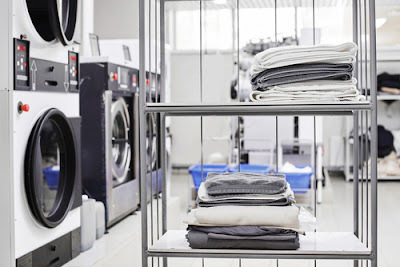 Laundry cleaning services provide the decent care and great arrangement in eliminating stains and dirt’s in your clothes and other substantial garments. Since removing stains is an essential assignment in laundering your clothes, it is a shrewd choice toleave this domestic work and painful work to laundry cleaning services. Laundry cleaning functions in a two-arrange effective procedure. Laundry cleaning is even made possible for your esteemed rugs and costly carpets that are seriously recolored and challenging to manage. The process includes a pre-treatment wherein elements are smeared on affected places to ensure they are vigorously expelled. Once treatment has been done on these garments, the washing procedure happens. A solvent is utilized here rather than water. A purified cleaning liquid is then used to hold clarity and a new look. Laundry all alone is a significant advance for some families. Alongside, adding to the costs laundering is likewise an extremely individual matter for families that needs heaps of trust and assurance at the season of outsourcing. Also, to bamboozle these professional services, one must make a point to be comfortable with the launderers. Read on to discover what all means you can take after to find the expert garment cleaning service. One approach to making a point to get a lot of your cash is to do some homework beforehand. 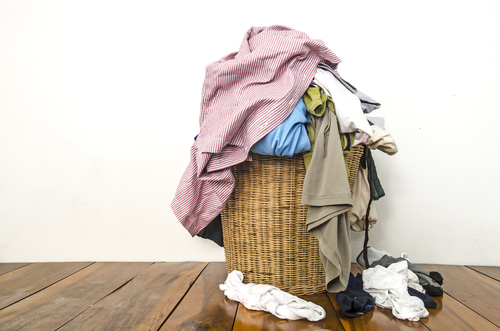 Check and make a rundown of imperfections in your laundry that you need to dispose of. Along these lines, the cleaner will have the capacity to understand your necessities properly and will likewise have more opportunity to do other tedious undertakings like shading treatment and disposing of the creases. Communication is the way to disposing of the vast majority of the worries and woes. Clear discussion makes it less demanding for the cleaner to understand which specific issues require additional consideration. Try not to falter, don't hesitate to make any inquiry because a decent professional dependably consider it their duty to tackle every one of the queries and confusions of their customers. Another tip is to procure a similar individual for your clothes each time you need them washed properly because a similar cleaner has a superior knowledge of your needs and serves you better in each progressive washing sessions. kindly you treat the garment cleaners, more endeavors they will put to ensure that you are happy with the level of cleaning they do. communicate can influence both you and your cleaner to feel more satisfied. 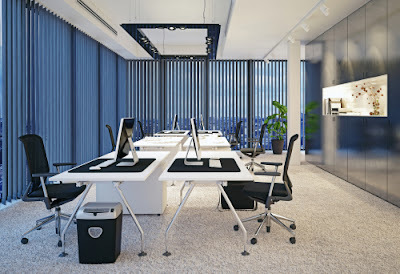 Professional cleaning services genuinely do help families out an incredible arrangement. Whether you are on a budget, the reasonable rates that they provide are minimal contrasted with the time you spare from tending to your home following a long, busy day.